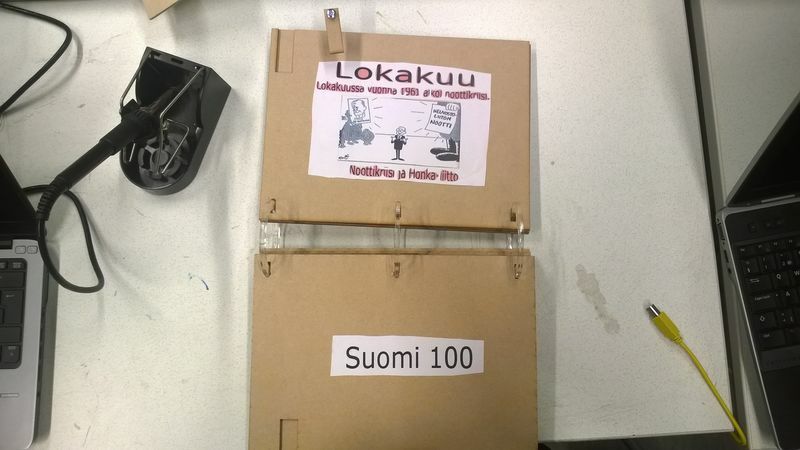 Students from 9th grade were working during 3 and a half days to build their own commemorative gadget to celebrate Finland 100 anniversary. 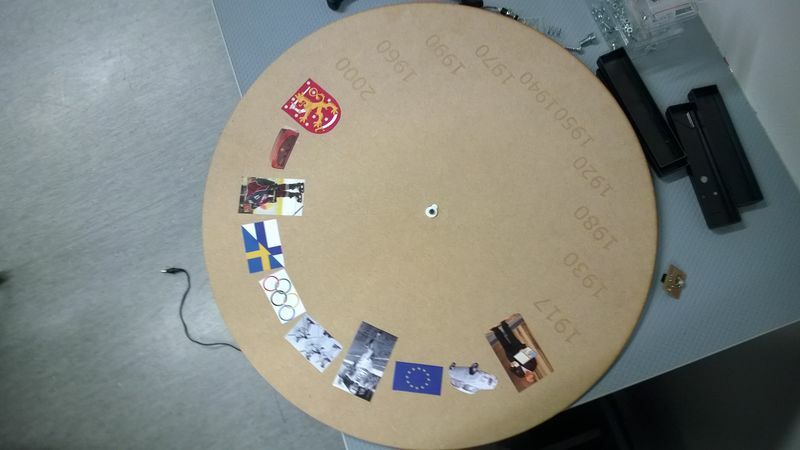 A wheel that contains pictures of representative events of the history of Finland, one for each decade. 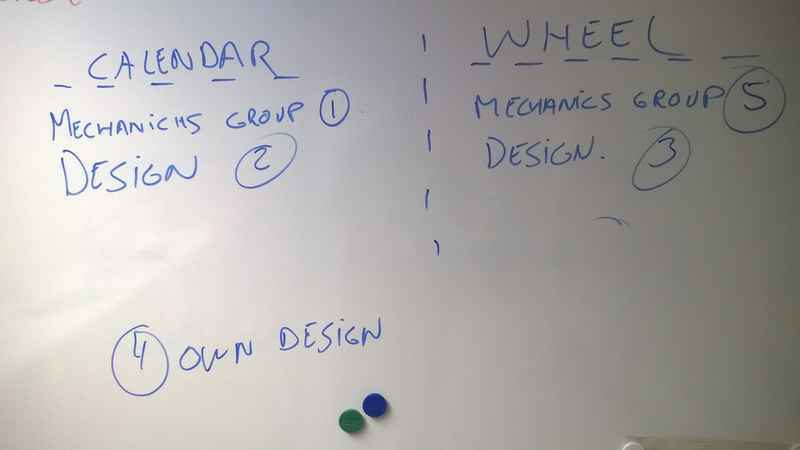 The wheel moves daily showing one event per day. 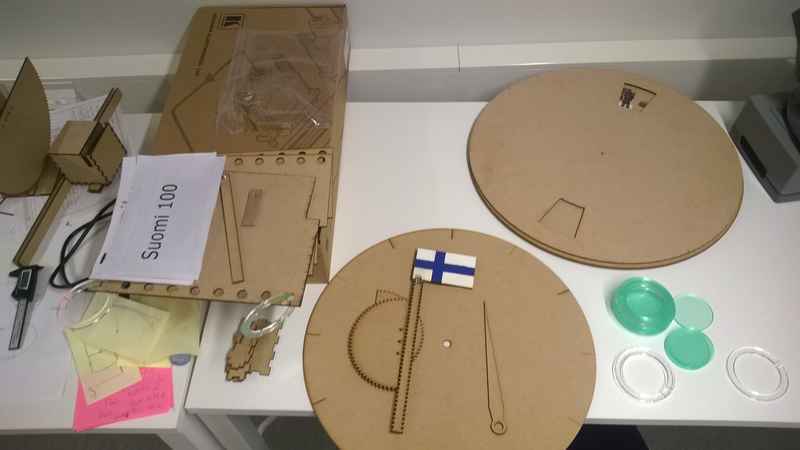 At the end of the workshop all teams manage to produce the mechanics and they were working manually. 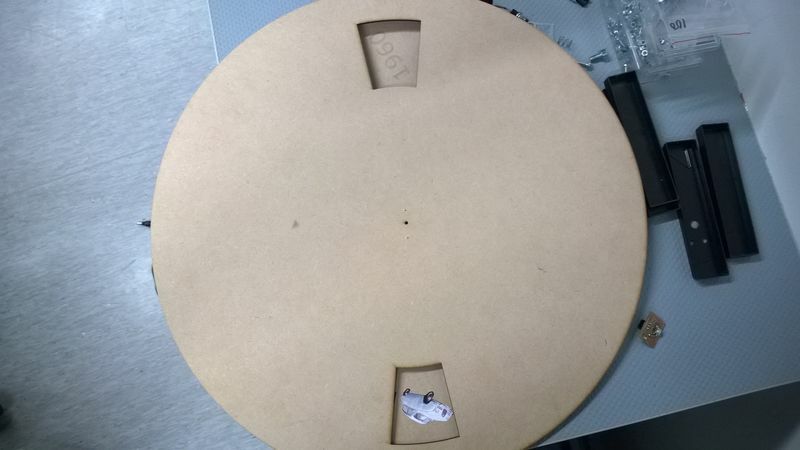 The students wrote also some code for Arduino, but they did not have time to fully integrate the different parts, so we end-up with almost finished prototypes. Teachers agreed to complete them if they had free time. 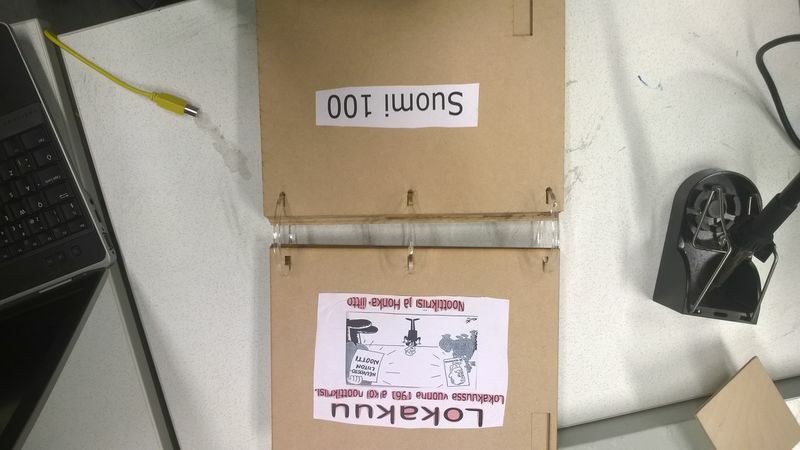 We really hope all kids participating enjoyed the activity and learnt something useful!!! !